That is, "Why organize one's life around Spiritual practice?" The department provides education about the insufficiency of non-spiritual or "piecemeal spiritual" means for achieving true and lasting happiness for individuals, and for adequately addressing our own mortality. It also provides a basic introduction to a spiritual life � a life organized around genuine spiritual practice � and contrasts it with the conventional life of materialistic self-fulfillment. Why do we suffer? What can we do to be happy? Is it possible to be perfectly happy? What, in spiritual terms, is the root of our un-happiness, from moment to moment? If change of circumstances (wealth; fame; a desired career; a loving partner, children, and friends; etc.) doesn�t guarantee happiness (and this is clear from the records of the wealthy, the famous, the successful, and even the loved), then what does? What spiritual means are available for restoring us to happiness? What can we do about the fact of our own mortality? What does happen after we die? In what way � precisely � does how we live impact what happens to us after we die? What is the best way to live in order to serve tangible spiritual growth, as well as our destiny after death? Is it possible to go beyond just talk of (and belief in) God and a Greater Reality, and actually have direct experience of that Greater Reality? Does God exist? Why are we not aware of God right now? How do we actually find God for real? How can we stay in communion with the Divine Being under any circumstance? What is God really like? How can we know God directly? Do I have to give up my ordinary enjoyments, or become an ascetic, or leave the world, in order to be a true Spiritual practitioner? If not, surely something is required, as I can't see getting something for nothing. SL101: The Problem of Mortality: Transcending Life and Death in God � Does your life have a purpose? If so, is it one that isn't going to get instantly ripped off when you die? Many of us spend our lives denying death, allowing ourselves to be completely consumed and distracted by our responsibilities, our indulgences, and our search for things we cannot take with us after death in any overt form (knowledge, accomplishment, fame, or friendship). But death is still coming. We get little support from culture, society, biology, or even conventional religion for becoming adequately prepared; indeed, we are actively discouraged from even considering the matter. True wisdom takes into account both the fact of our mortality and what we are likely to carry with us after death, and uses the course of a lifetime proactively, for the purpose of understanding our limits, and linking up now with That which is greater than life and death. This course examines mortality, death, and beyond, and provides an adequate spiritual address to mortality and limitation altogether. SL102: Why Settle for Less Than Perfect Happiness: Addressing Suffering At Its Root � One of the longstanding questions of believers in God, particularly in the Judeo-Christian tradition, is "If God is all-good, how could God create a universe that contains evil or in which people suffer? Or, if God didn't create evil or suffering per se, how could God allow it?" Many people slide into atheism largely for lack of an adequate address to these questions. This course examines the history of this question (and the responses to it), and then provides a real answer to the problem of suffering, by placing responsibility where it belongs � on us � and elaborating what we must understand and do (which is necessarily Spiritual in nature) in order to be completely free of suffering, and to truly help others be completely from suffering. SL103: Evidence for the Existence of the Greater Reality � Anyone interested in spirituality (and the reasons why it makes sense for a human life to be organized around spiritual practice) should be aware of the latest evidence available confirming or strongly suggesting the existence of various aspects of the greater-than-material reality. This course examines studies and data that are drawn from such diverse sources as: neurotheology; psychic phemonena studies; studies of documented miraculous phenomena; quantum physics; reincarnation studies; and more. SL104: Does God Exist? Why Are We Not Seeing God RIGHT NOW? � We examine the long history of this infamous question, the traditional "answers" to it, and then examine whether it is a real question. As C.S. Lewis once quipped, "God has better things to do than sit around for centuries waiting for God's existence to be proven." If God exists, why is God not obvious to us? We examine what we are doing to prevent the Vision of God, how everyone else supports us in doing that, and what we can do instead to go beyond the greatest human blind spot of all time. SL201: Why Be Blinded by Science and Materialism � To be blinded by science and materialism into thinking technological self-fulfillment is one's highest potential is to choose a destiny wherein one is increasingly pleasurized in body, and increasingly stimulated in mind, but increasingly desperate at heart. This course does not exclude the spiritual or the subjective from the study of Reality, unlike scientific materialism. It instead considers the full nature of Reality, including greater-than-material dimensions, consciousness, death and beyond. On this basis, it identifies the greatest human potential, which is inherently Spiritual and Transcendental, and not material-only. 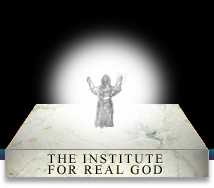 SL202: Beyond Believing: Why Belief in God and Being Good Won't Get You Into "Heaven" � This course examines the differences between conventional religion and genuine spiritual practice. A recent Gallup poll reported that 86% of all American adults believed in God. "Belief in God" is the primary way many of us describe our relationship to the Greater Reality. But why settle for believing in God, or even for some "spiritual experiences" now and then, when the tangible, ego-melting, suffering-dissolving Revelation of Real God, pervading, washing, and dissolving "you" again and again (through a lifetime of Spiritual practice), would utterly transform your life, and fulfill your heart's otherwise unendingly unfulfilled desire for perfect happiness? SL203: Why Settle for Piecemeal, Do-It-Yourself Spirituality � This course critically examines the often piecemeal practices and experiences one often finds in many "New Age" circles, and considers as an alternative a systematic means for bringing about the greatest possible Spiritual Realization. It also considers the critical importance of genuine Spiritual Authority in Spiritual Realization and the anti-authoritarian trend in our culture that tends to rob us of our greatest source of spiritual help. SL204: Psycho-Physics: Toward a Theory of (and Participation in) Everything, Everyone, and God � The Promised Land of physicists is a simple GUT (Grand Unified Theory) or TOE (Theory Of Everything) capable of explaining all physical phenomena. But a theory that truly accounts for everything, must also take into account subjective as well as objective phenomena (and subjectivity itself). Consequently, this course considers a unified theory that is not merely a physical theory (i.e., "physics") but a psycho-physical theory. It then extends that psycho-physical theory into a DART (Divinely Aligned Reality Theory), which is grounded in the Transcendental Psyche.